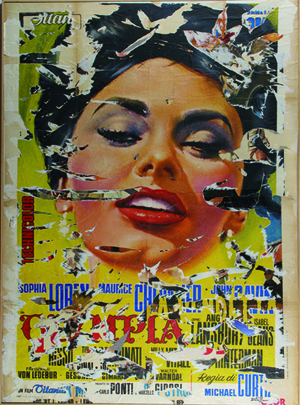 Mimmo Rotella (b. 1918, Catanzaro, Italy – d. 2006, Milan, Italy) was considered an important figure in post-war European art and represented Italy in the 1964 Venice Biennale. 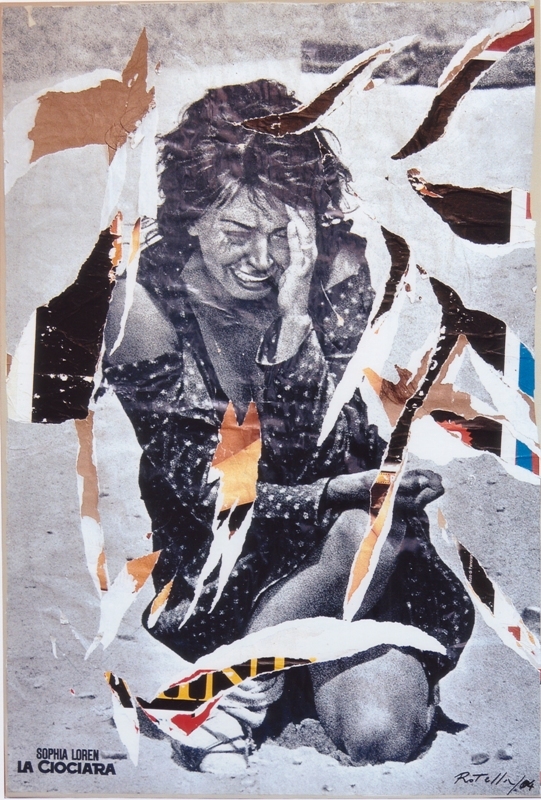 He began experimenting with geometric abstractions in the 1950s and later moved out of his studio where he experimented with posters, canvases, and compositions out of mass media imagery. He called these "double décollages." 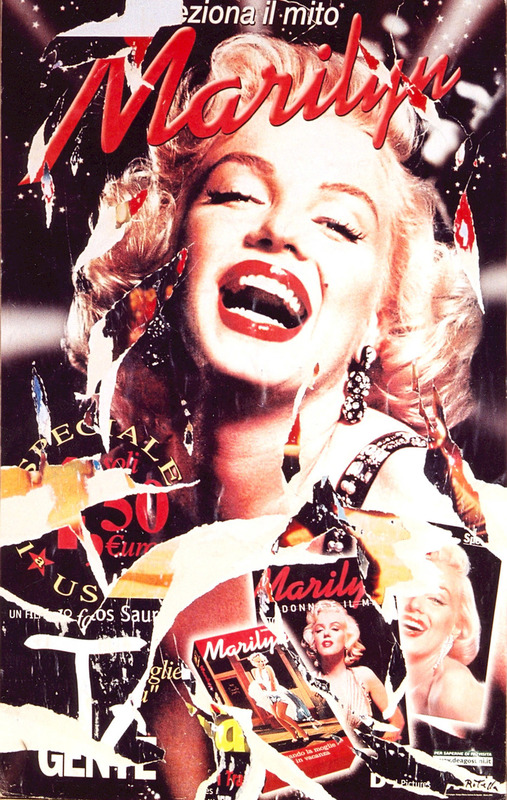 Through his collage work, he became associated with Raymond Hains, Jacques Villeglé and François Dufrêne—together known as Les Affichistes. He later became a member of the French Nouveau Réalisme, founded in 1960 by art critic Pierre Restany. He died in January 2006 in Milan.